You can contact us via the method of your choice. We have two different forms which you can fill out, both look similar. The first form is for requesting a Quote. The second form is if you are looking to purchase. There are a few terms and conditions that you should be aware of before you submit a Purchase Order Request. You can use the below form to Request a Quote, or to Submit a Purchase Order. In order to see the form, you must accept the Terms and Conditions. Please be aware that you must agree to these terms and conditions before you can submit a Quote Request or a Purchase Order Request. Please read through these and select the checkbox to indicate you agree. If you have any questions please contact us. 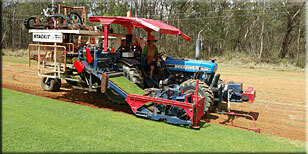 PAYMENT : ALL turf orders are to be Paid for In Advance prior to cutting. We accept Credit Card, Cash, Cheque or Direct deposit. NO LAYBY or TIME PAYMENTS. (2) AFTER-CARE: All After-Care is the Purchasers responsibility after delivery. eg. watering, mowing, pest control and fertilizing. (3) DELIVERY: All care is taken but no responsibility is accepted to property below or above ground level after leaving public carriageway. (4) ACCESS: No responsibility will be accepted for failure to complete work due to unsuitable access. (5) TITLE: Property in any article sold by Arcadia shall not pass from Arcadia to the purchaser until the purchaser has paid for the article in full and all cheques and other negotiable instruments have been cleared. If any payment is overdue or if the purchaser pays Arcadia by cheque and other negotiable instruments (in full or part) and such negotiable instrument is not met on presentation by Arcadia, then Arcadia reserves the right to retake physical possession of the goods in full or partial satisfaction of the debt and for this purpose the purchaser hereby consents to Arcadia or it's Agent or Servants entering upon the purchaser's premises. The risk of loss of, or damage to the article shall be entirely at the risk of the purchaser upon delivery to the purchaser. (6) PRICE: All prices are subject to change without notice. (7) QUALITY: No claim of any description in relation to the quality of any product supplied will be considered after delivery. (8) CANCELLATION: All orders must be given a minimum of 24 hours notice of cancellation or full price will be charged. (9) TURF DELIVERY: We reserve the right to provide the turf on disposable or non returnable timber pallets. then the Quote Request / Purchase Order Request form will be displayed Here. If the Form doesn't appear straight away. Areas highlighted in YELLOW are required. All other fields are optional. A Copy of what you enter here will be emailed to you at the address you enter. It is important for you to indicate the condition of your driveway / access and unloading area. Please be aware that difficult access will incur an additional fee. If you choose not disclose the condition of your driveway / access and unloading area, then we will assume the worst and that access will be difficult. The quote will include an additional fee! Enter any Comments, Questions, items you are interested in purchasing, or your Enquiry in the below box.